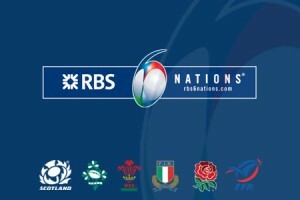 For those of you that don’t know, the 6 Nations is the Northern Hemisphere’s premier international rugby tournament, contested annually by England, Ireland, Scotland, Wales, France, and Italy. The 2013 edition promises to be one of the most open competitions in recent years with 4 teams having a genuine shot at the title. In this article we’re going to take a look at the 4 contenders and evaluate their chances at winning the tournament and whether there’s a Grand Slam on the cards. France: Perennial favourites France are up there again at 2/1, but some bookies have them at joint favourite with England. This year they have to travel to Dublin and London, so things are stacked against them slightly, but can you ever bet against France? A clean sweep in the Autumn Internationals and strong performances in the Heineken Cup means that 9/4 on Ladbrokes looks hard to resist. England: A win against New Zealand and everyone thinks the good times are back at Twickenham but the All Blacks were struck down with a camp-wide illness and played as bad as I’d ever seen. England went down to the Aussies and the Spingboks and didn’t show much to be optimistic about in those games. I don’t think Farrell has what it takes and the fact that they have to go to Dublin and Cardiff will be too much for them. Ireland: The Irish are going to the 2013 campaign more in hope than expectation. An OK performance against South Africa and a rout of an Argentine team that didn’t show up don’t give us much to go on. The emergence of Ger Gilroy and a re-invigorated scrum are positives, and Johnny Sexton is only getting better but the 4/1 on offer seems just a little bit too short. I think 2nd place is achievable. Wales: Wales lost all three of their Autumn internationals, including defeat by Samoa at home but still are favoured over Ireland. Priestland is injured and may not be back for a while, which is a major blow. Leigh Halfpenny however expects to be fit in time for the tournament. I don’t see any value in 7/2 on Wales and think even Scotland might give them a shock at Murrayfield. With all or the big teams going in with lower-than-normal expectations it’s extremely unlikely that this year will see a Grand Slam and it’s priced up accordingly at 8/13. Perhaps the best value in this market are Ireland at 12/1, who have both England and France at the Aviva Stadium in Dublin this time around. Extra tip: One bet that’s almost always a good one in the 6 Nations is Italy to beat the first half handicap. Italy always come out strong and only begin to waver after about 60 minutes. In 5-5 games last year they beat the first half handicap so keep an eye on that one this time around!